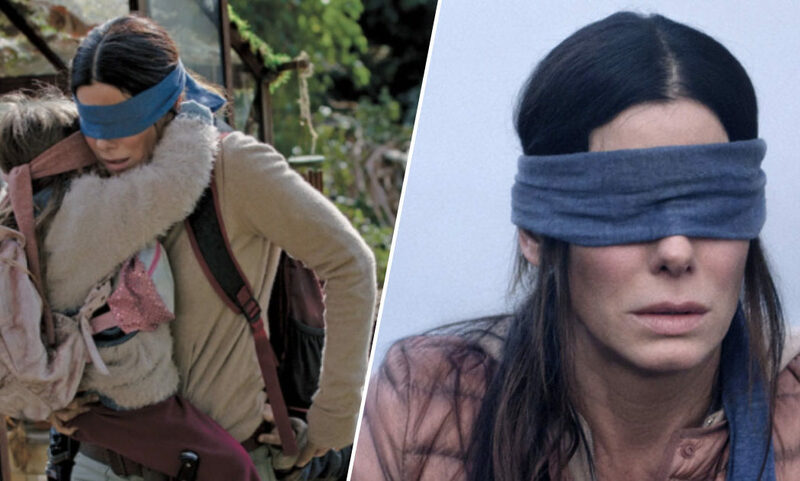 Bird Box is the film everyone is talking about right now as the post-apocalyptic thriller terrifies without the monster ever being seen. Over 45 million people watched the latest Netflix film in the first seven days of its release – a record for the streaming service. No wonder then it is taking over the internet although some people are taking things too far doing ‘Bird Box Challenges‘ which Netflix has now warned against. If you are unfamiliar with Bird Box, based on the 2014 novel of the same name by Josh Malerman, follows Sandra Bullock’s pregnant Malorie as she joins a band of survivors in an attempt to escape an unknown force which is causing mass suicide. When victims lay eyes on the mysterious and dangerous force they will take their own lives. Malorie and the two young children she takes on the journey with her’s only hope of survival is to operate blind. While some people on Twitter are describing the film as ‘the scariest thing‘ they have ever seen, I can tell you right now they are exaggerating. Okay, Bird Box is intense, the story involves mass suicide and a dangerous unknown force, and the tension is continually ratcheted up until the climax. And one of the key reasons Bird Box is a taut thriller is because not once are we given a glimpse at the force causing millions to take their own lives. Classic suspense fodder, but because the internet is the internet and people are people, fans are crying out to see what the ‘monsters’ were meant to look like. The masochists. And these people are in luck as SFXAtlas has reposted images from the film’s special make-up effects creator Howard Berger who appears to have deleted the original post, revealing the prosthetics created to depict the creatures which were chopped from the final cut of the film. The unseen creature from Bird Box created at KNB EFX that was sadly cut from the final film. Andy Bergholtz sculpted and pre-painted the prosthetics. Stephen Prouty went to set and applied the makeup on actor Dirk Rogers. Reposted from the amazing Howard Berger – ‘It’s always a bit disappointing when so much effort goes into something that ends up in the cutting room floor, but I get it and it’s always what is best for the final product’. While I do appreciate the hard work put into the prosthetics, the film just doesn’t need these baby-like creatures which ended up on the cutting room floor.